According to new research from a large retrospective cohort study published in the June issue of the New England Journal of Medicine, there is evidence that maternal use of lithium in the first trimester transfers risk of cardiac malformations to the developing offspring. In the US population, 1% of women of reproductive age with bipolar disorder use lithium as a first-line treatment, as data has shown its effectiveness for mood stabilization. However, in the early 1970s, research began to show that babies born to mothers taking the medication were at an increased risk of Ebstein’s anomaly, which is an obstruction defect of the right ventricular outflow tract. For this study, data were collected from the US Medicaid Analytic eXtract (MAX) for 46 states and the District of Columbia from 2000 to 2010, and included all pregnancies in women 12 to 55 years of age resulting in live births for which Medicaid paid the expenses. Women with private insurance were excluded. Women who had at least 1 filled prescription for lithium during their first trimester of pregnancy were compared with a primary reference group of women who had no filled prescriptions of either lithium or lamotrigine for 3 months prior to the start of their pregnancies, and a secondary reference group of women who had at least 1 filled prescription of lamotrigine during their first trimesters. Women who had filled prescriptions for both medications were excluded from the study. Lamotrigine was chosen as a comparative medication because it has not been associated with an increased risk of congenital defects while being effective for the treatment of bipolar disorder. The women who took this medication were compared to the group of women who took neither medication and were used as the active reference group for the women who used lithium. The primary outcome of this study was congenital cardiac defect in the infants, and secondary outcomes were major overall birth defects. The final cohort meeting all the inclusion criteria included 1,325,563 pregnancies. Of these pregnancies, 663 were of women taking lithium and 1945 were of women taking lamotrigine during their first trimesters. Among the infants exposed to lithium, 2.41 per 100 live births experienced cardiac defects. Among the infants exposed to lamotrigine, 1.39 per 100 live births experienced cardiac defects, and among the infants exposed to neither medication, 1.15 per 100 live births experienced cardiac defects. The adjusted risk ratios for cardiac defects were 1.65 for infants exposed to lithium (95% confidence interval [CI], 1.02 to 2.68) compared with the infants who were not exposed to lithium, and 2.25 for infants exposed to lithium (95% CI, 1.17 to 4.34) compared with the infants who were exposed to lamotrigine. According to the study authors, the findings suggest that there is a modest risk increase in cardiac birth defects in the population of infants who are exposed in utero to maternal use of lithium during the first trimester compared with infants who are not exposed to the medication. 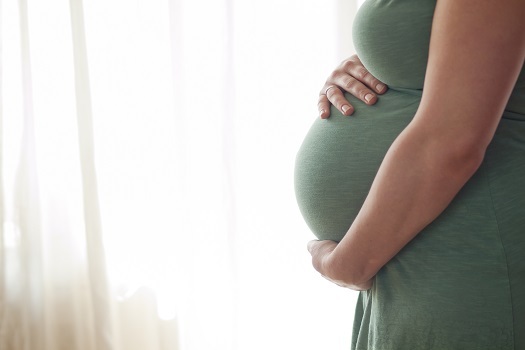 Is there a Link Between Antidepressant Use During Pregnancy and Autism?